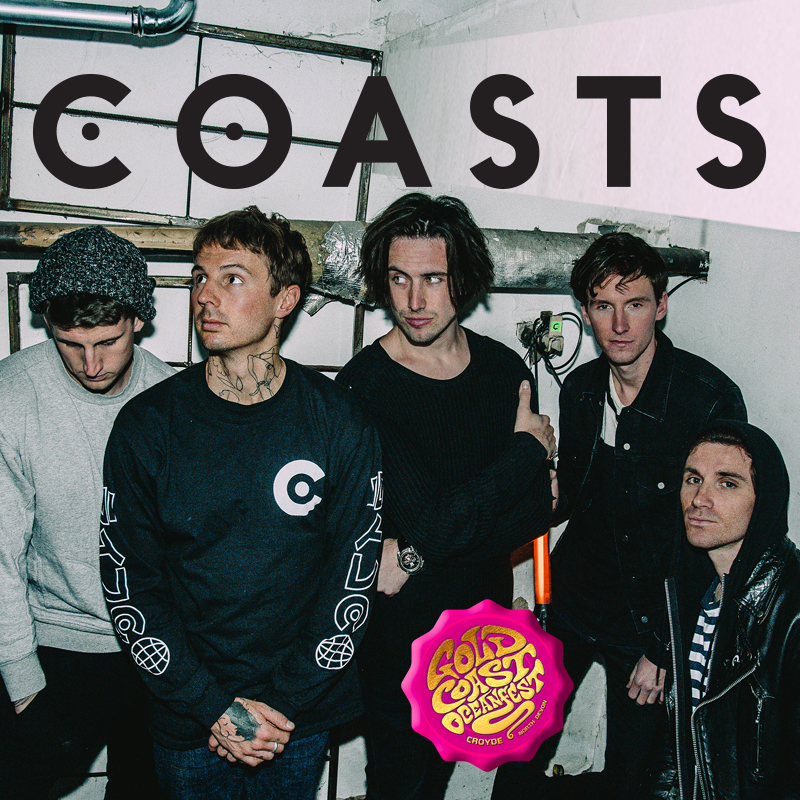 With two UK top 40 albums under their belts, COASTS career has taken them to the very top of the game, including appearances at major festivals such as Coachella, Glastonbury, Reading & Leeds and Lollapalooza, as well as numerous sold-out UK, European and North American tours. Last year saw the return of COASTS following their stellar debut album that featured anthems such as Oceans, You and A Rush Of Blood. 2017’s ‘This Life’, is a mesmerising infusion of melodies and hooks drenched in the band’s trademark Trop-Pop sound, charted at 17# in the UK album charts, their best offering to date cementing COASTS as one of the scene’s most respected acts. With new music imminent and a world tour announced, 2018 is set to be another defining year for the band.